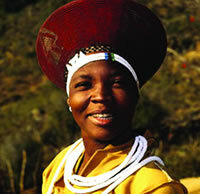 The African Organisation for Research and Training in Cancer’s 9th International Conference on Cancer was held in Durban, South Africa at the Durban International Convention Centre in November 2013. Two days of pre-conference workshops proceeded the three-day conference that saw 974 delegates from 70 countries come together to discuss “Cancer in Africa: Bridging Science and Humanity”. AORTIC was able to offer financial support to 184 bursary recipients, the majority of whom were involved as chairs, speakers or poster presenters in the 76 sessions and 194-strong poster display. AORTIC 2013 had support from 19 sponsors, and hosted a small exhibition with 22 exhibitors. The Opening Ceremony and Welcome Reception at the Durban City Hall was very well attended, and the Gala Dinner at the Durban International Convention Centre was a tremendously festive evening with elegantly dressed delegates and hours of dancing. It gives us great pleasure to invite you to AORTIC's 9th International Cancer Conference entitled "Cancer in Africa: Bridging Science and Humanity". Held every two years, the AORTIC conferences provide a unique platform to bring together leading African and international health care professionals in cancer care, advocates, leaders in Government, and various members of the international health industry and global cancer community to meet and discuss cancer-related matters and proffer solutions to significantly reduce the impact of cancer in Africa and indeed around the world. To make a difference, AORTIC invites you, as a committed member of the international cancer control community, to contribute to and listen to world-renowned speakers, to network with colleagues and professionals from all over the world, and to be exposed to the latest research findings in the cancer arena. Set in the vibrant, cosmopolitan city of Durban, located on the East Coast of the KwaZulu-Natal Province of South Africa, the conference aims to build on the solid scientific foundations established through previous AORTIC conferences and will offer a scientific programme covering a diverse range of topics related to cancer control in Africa. 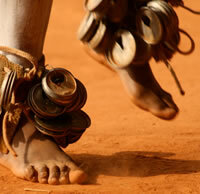 Our aim is to equip attendees with diverse tools that can be implemented in resourceful ways. Do register for AORTIC 2013. Our carefully packaged programme offers you a unique opportunity to change the trajectory of cancer in Africa and the rest of the world. 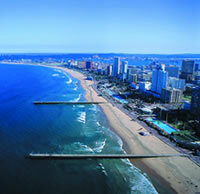 We look forward to welcoming you to Durban, South Africa, in November 2013. Nous avons l’immense plaisir de vous inviter à la 9e Conférence internationale de l’OAREC sur le cancer, sous le thème : «Cancer en Afrique: Réduire le fossé entre la science et de l'humanité». Organisée tous les deux ans, les conférences de l'OAREC offrent une plate-forme unique qui permet de réunir les professionnels sanitaires africains et internationaux de renom impliqués dans la prise en charge du cancer, des défenseurs, des hauts responsables gouvernementaux et différents intervenant du secteur de la santé et membres de la communauté internationale de cancérologie, pour discuter des questions liées au cancer et proposer des solutions visant à réduire de manière significative l'impact du cancer en Afrique et à travers le monde. Pour faire la différence, l’OAREC vous invite, en tant que membre engagé de la communauté internationale de lutte contre le cancer, à apporter votre contribution et à écouter des conférenciers de renommée mondiale, à vous mettre en réseau avec des collègues et des professionnels du monde entier, et à vous imprégner des plus récentes conclusions de recherche dans le domaine du cancer. Situé dans la ville animée et cosmopolite de Durban, sur la côte est de la province du KwaZulu-Natal en Afrique du Sud, la conférence s’appuiera sur les bases solides établies à travers les conférences OAREC antérieures et prévoit un Programme scientifique qui offre une gamme variée de sujets liés à la lutte contre le cancer en Afrique. Notre objectif est de doter les participants de divers outils pouvant être utilisés de manière ingénieuse. Veuillez vous inscrire maintenant à l'OAREC 2013. Notre programme soigneusement élaboré vous offre une occasion unique de changer la trajectoire du cancer en Afrique et dans le reste du monde. Nous serons heureux de vous accueillir à Durban, Afrique du Sud, en novembre 2013.